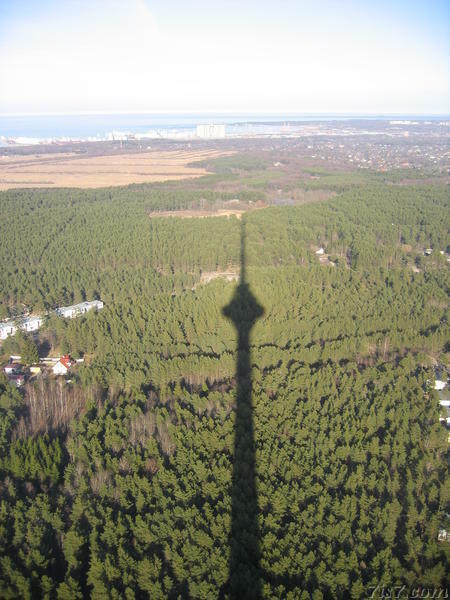 The Soviet era TV tower stands a few kilometers east of Tallinn. During the putsch against Gorbatchov in August 1991, Moscow ordered its troops to take control of the tower back from the independence seeking government of Estonia. There was a tense stand-off between several hundred Soviet troops and two Estonian policemen who were sent to defend the tower. 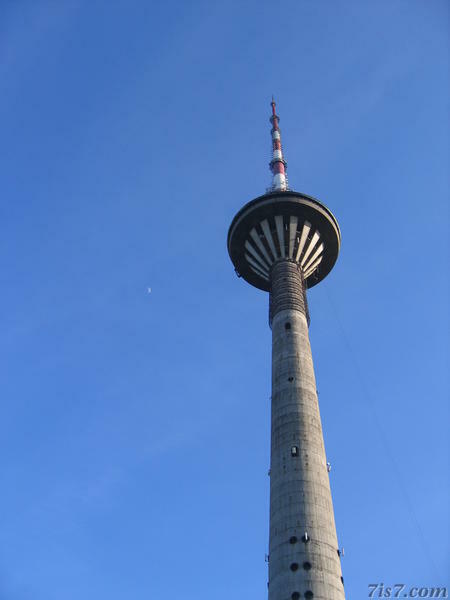 Cunningly the Estonian policemen and TV tower staff had threatened to set-off the fire extinguishing system if the troops entered, which would have killed every person in the tower. This kept the troops at bay. When the Moscow putsch collapsed, the troops, who had by then been surrounded by civilians who had come to help defend the tower, finally left. Location: 59°28'16"N 24°53'15"E on: Google Maps, OpenStreetMap, Maa Amet.